Dr. Barbour is a Professor in Endocrinology and Maternal-Fetal Medicine, Director of the Obstetric Diabetes Clinic at University Hospital, past Chair of the American Diabetes Association (ADA) Pregnancy Council and named in “Best Doctors in America” for >20 years specializing in diabetes, thyroid disorders and obesity in pregnancy. She is author to >100 publications, Co-Director of the Colorado Program in Nutrition and Healthy Development which mentors many young researchers to improve maternal and infant health, and is proud mother to 7 adult children and step children. Dr Barbour is the Principal Investigator for the Fetal Programming and CHOICE studies. To learn more about Dr. Barbour, click here. Dr. Teri Hernandez, is a cardiac nurse by training who earned her PhD studying women’s health, specifically gestational diabetes. Dr. Hernandez is the principal investigator of several clinical trials. She is also a nurse scientist at Children’s Hospital Colorado, an Associate Professor in the CU Division of Endocrinology and College of Nursing, the author of many publications, a mother of three children, and a mentor and friend to her students, research staff, and research study participants. Dr. Hernandez is the Principal Investigator for the CHOICE study. To learn more about Dr. Hernandez, click here. 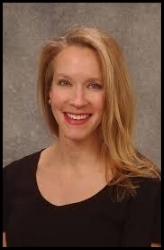 Nicole Hirsch is a Clinical Coordinator and a Certified Lactation Counselor in the Infant Gold research group. Before joining the Infant Gold team, she worked for the IMAGE exercise physiology research lab and the Children’s Hospital Emergency Department research team. Working in the Infant Gold group combines her scientific interest in pregnancy, breastfeeding, metabolism, nutrition, and diabetes with her love of babies. Nicole has two wonderful children and a young golden doodle to keep her on her toes. Emily Zans is a Registered Dietitian and Certified Diabetes Educator who earned her Master of Science in Nutrition and Dietetics degree at the University of Kansas. Her work with the Infant Gold research team involves providing diabetes education and nutritional care to participants, as well as helping coordinate all aspects of the CHOICE research study. Since moving to Denver in 2014 from Kansas City, MO with her her fiance and beagle mutt, “HopScotch”, she continues to make her mark in diabetes research by helping others learn to eat healthy without excluding all the foods that they love. Dr. Sarah Farabi is a Registered Nurse who earned her PhD studying the relationship of glucose variability and sleep disruption in type 1 diabetes. Dr. Farabi’s main interest is in the intersection of sleep and metabolism. She is currently a postdoctoral fellow working under the mentorship of Dr. Teri Hernandez and is investigating the role of sleep disordered breathing in gestational diabetes. Dr. Farabi is enjoying the new mountain landscape as she recently moved from Chicago, IL with her husband. Libby has been with the team for a few years now, helping with visits and data as a student for her last two years of college. She graduated from Miami of Ohio in 2016 with degrees in biology and neuroscience, and she came on full time as a clinical research assistant after graduation. She has recently gone back to get her BSN from the CU College of Nursing and hopes to become a pediatric nurse practitioner! When she's not studying or working, Libby likes to get up to the mountains to ski, hike, and camp with her friends, family, and two golden retrievers. Kristy graduated from CSU this past May with a degree in biochemistry and a passion for research. She aides in the research lab by collecting, processing, and tracking samples from mom and baby. She also helps prepare the fat tissue for further analysis of insulin sensitivity. In her spare time, she loves to go up to the mountains for hiking and boating as well as spending time with her family and recent fiancé! Dr. Friedman's main goal is to advance the scientific understanding of early life contributors to infant and child health at the molecular, endocrine, and epigenetic levels. This involves novel animal models of maternal obesity and human clinical investigation utilizing human myocytes, adipose tissue, and umbilical cord-derived stem cells from infants born to mothers with obesity with and without GDM. In 2012, Dr. Friedman and Dr. Barbour established the Colorado Program for Nutrition and Healthy Development, sponsored by the Children’s Hospital Colorado. Currently their attention is on understanding how maternal diet impacts the mother/infant development of the gut microbiome. To learn more about Dr. Friedman, click here. Becky de la Houssaye is a Sr. PRA in the lab of Dr. Jed Friedman and for the Molecular and Cellular Analytic Core. As such, she is responsible for processing maternal blood and stool samples for the Fetal Programming, ADA and CHOICE studies as well as for prepping the adipose biopsy samples to look at lipolysis and PI3K activity as measures of insulin sensitivity. She also runs the cytokine panels and ELISA assays for the plasma and breast milk samples. In her spare time away from the lab, she volunteers as a trail steward for Aurora’s Open Space trails. Laurie Moss is our resident computer nerd. She takes care of all the forms, labs, and sample tracking data for all of our past and active studies. She has been with the University since 2000. She started with the Department of Public Health, managing their databases in Diabetes research. She has since moved on and now manages data for a multitude of Rheumatology and Endocrinology studies. She currently supports over ten physicians and their study research. She also supports over 25 staff members with their various data needs in these various studies. Dr. Krebs is the PI for the Breast Milk study. To learn more about Dr. Krebs, click here. To learn more about Dr. Reynolds, click here. Dr. Bridget Young is an Assistant Professor of Pediatric Nutrition. Her doctorate is in Perinatal Nutrition and she is a Certified Lactation Counselor. Dr. Young’s research investigates how maternal characteristics impact breast milk composition, and infant growth patterns. She also studies how different types of infant formula impact infant growth. She is in charge of an initiative to upgrade and improve all of the lactation rooms on the University of Colorado Research campus. She has two little boys and is a breastfeeding mom herself! To learn more about Dr. Young, click here.